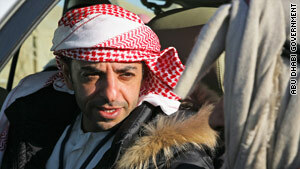 The body of Sheikh Ahmed bin Zayed Al Nahyan of the United Arab Emirates has been found. (CNN) -- The body of the managing director of one of the richest investment funds in the world was found Tuesday, four days after he disappeared after a plane crash in Morocco, the official Moroccan news agency reported. Sheikh Ahmed bin Zayed Al Nahyan had been missing since his glider plane crashed into a lake in the north African country on Friday. The late sheikh was a brother of the ruler of Abu Dhabi and president of the UAE, Sheikh Khalifa bin Zayed Al Nahyan. Sheikh Ahmed, 41, was director of the Abu Dhabi Investment Authority. He was also chairman of the board of trustees of the Zayed Foundation for Charity and Humanitarian Works, according to WAM, the official news agency of the United Arab Emirates. The body was found by rescue teams at a dam in Sidi Mohamed Ben Abdellah lake, in Skhirat Temara, a suburb of the Moroccan capital Rabat. Some 225 people -- including over 100 divers from Morocco, the United Arab Emirates, France, Spain and the United States in addition to four emergency physicians -- were called in, the Moroccan Press Agency reported. The body was found by rescue teams in Sidi Mohamed Ben Abdellah lake, in Skhirat Temara, a suburb of the Moroccan capital Rabat. The remains are being transported back to the Emirates from Morocco and are expected to be buried Wednesday, Abu Dhabi TV reported. The ruling family will attend prayers in the Sheikh Zayed Mosque Wednesday afternoon as three days of state mourning begin, the station reported. Forbes' 2009 rankings of "The World's Most Powerful People" listed the late sheikh at No. 27. The pilot of the plane was rescued in good condition after the crash, WAM said. "As a matter of policy ADIA does not disclose its assets under management," he said. But he noted that his brother, the president, who is also ADIA's chairman, "has stated publicly that some of the highest estimates seen in the media have been exaggerated." But the Sovereign Wealth Fund Institute estimates that ADIA is among the richest investment vehicles of its kind in the world -- if not the richest. CNN's Saad Abedine and Caroline Faraj contributed to this report.